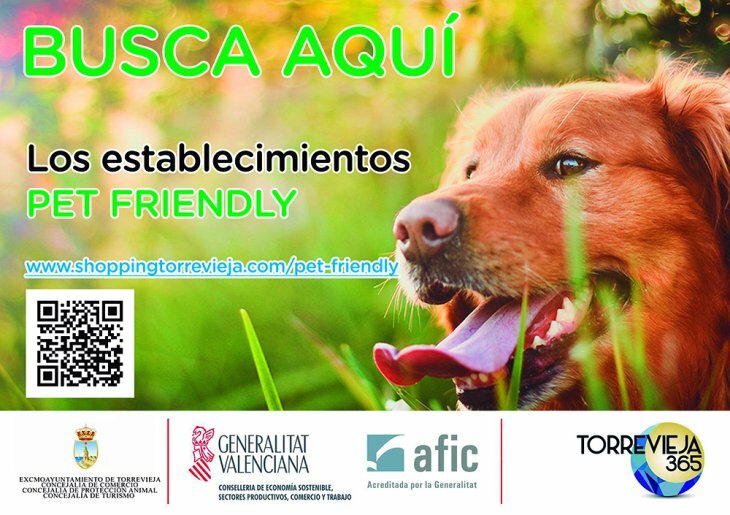 The Torrevieja Town Hall has launched a Pet Friendly Campaign which all local shops may join if they wish. This initiative has been going on for several years in other countries where pets are welcome in all kind of businesses. About forty different shops have already joined the Pet Friendly Campaign and others are expected to follow. Those willing to participate can do so through the Commerce Department webpage, by dialing phone number 965 71 02 50, extension 0154, through the email address at comercio@torrevieja.eu or in person at the Urban Planning Municipal Offices, located at 10 Maldonado Street, from 08:00 to 14:00 hours. The Torrevieja Town Hall is also preparing the second edition of the "Huesitos Bag Containers" (in collaboration with Acciona, and for the purposes of dog waste collection), which will be available from the Town Hall Commerce Department and at the Tourist Office in Paseo Vista Alegre. You can check out pet-friendly stores in Torrevieja here.